By Ian Curran | October 4, 2017. Annabelle: Creation is a prequel to Annabelle (2014) and the fourth in The Conjuring series. The story revolves around Sam Mullins, a former toy maker who along with his wife agree to take in six orphans and a nun. The Mullins’ daughter died seven years previous in a car accident and their new housemates are about to find out the chilling story of their actions while trying to cope with their loss. Having watched the whole Conjuring series, I have concluded that Annabelle: Creation is the best of a bad bunch. There are some jumpy moments throughout but overall the actual plot lacks depth and the setting is very limited. It follows the simple horror movie formula, and rarely distances itself from it. The dark house and the creepy porcelain doll are compounded by the standard silliness of characters from horror movies. Just like other poor efforts from the horror genre, it will leave you asking yourself repeatedly why they continue to make these mind-bogglingly poor decisions. 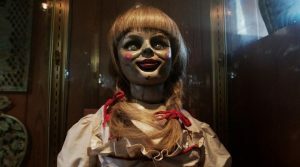 Peter Debruge of variety.com makes the fantastic point in his review of the film when he says that Annabelle: Creation “goes to show how eager audiences are to be scared, and how even an unsightly doll can do the trick if the spirit is willing”. Overall, I feel Annabelle: Creation is a lazy prequel within a lazy spin-off. 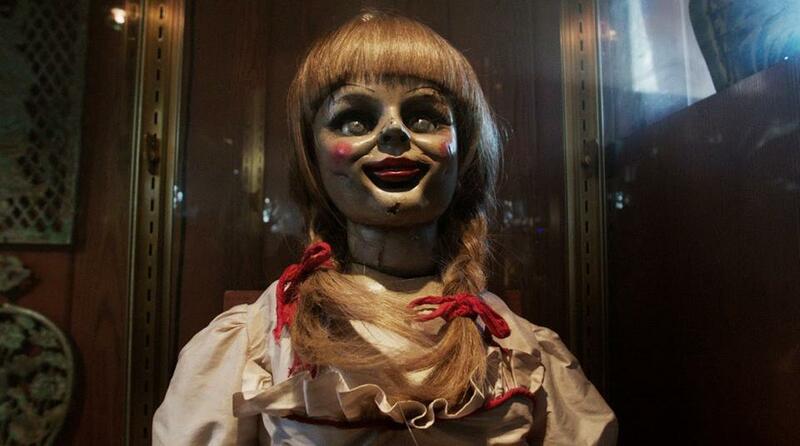 Annabelle itself fails as a combatant to the legendary figure of Chucky, of the iconic Childs Play (1998). It has a couple of scares throughout that will make you jump, but they are only momentary and the plot is nowhere near as frightening. These momentary scares fail to make up for the weak story.